An official poster for World Wildlife Day 2018, which the UN has invited others to use. Obtained from the World Wildlife Day Flickr page. Today, March 3, is World Wildlife Day. 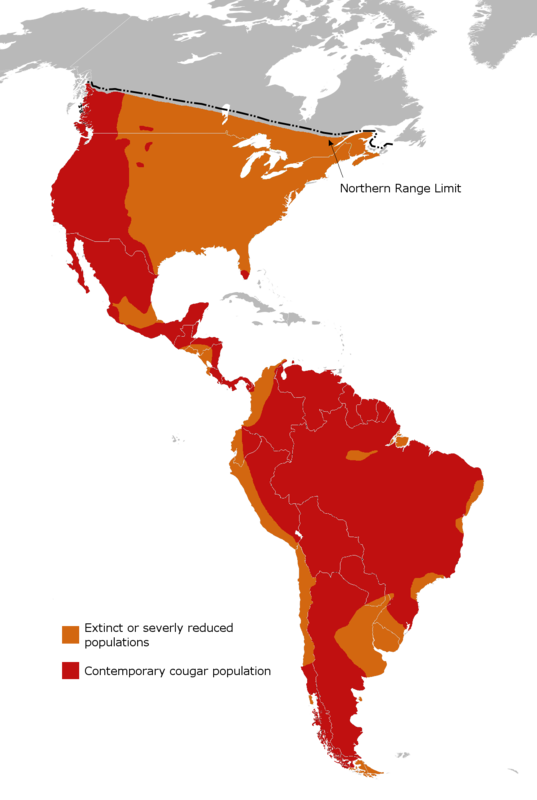 Since 2013, the United Nations has set this day aside to celebrate Earth’s incredible biodiversity – and to call attention to the ongoing mass extinction (Ceballos, Ehrlich, & Dirzo, 2017). 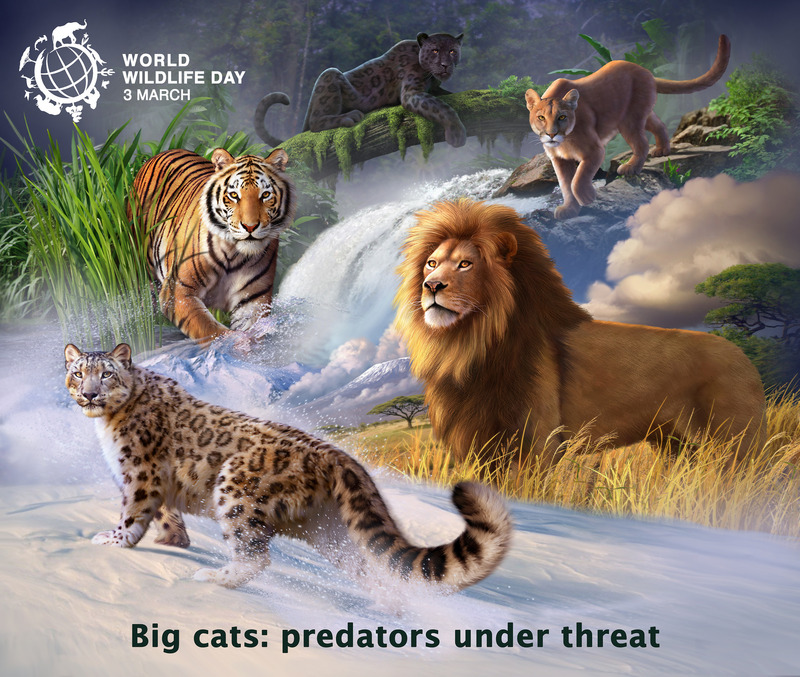 This year’s World Wildlife Day is all about big cats. 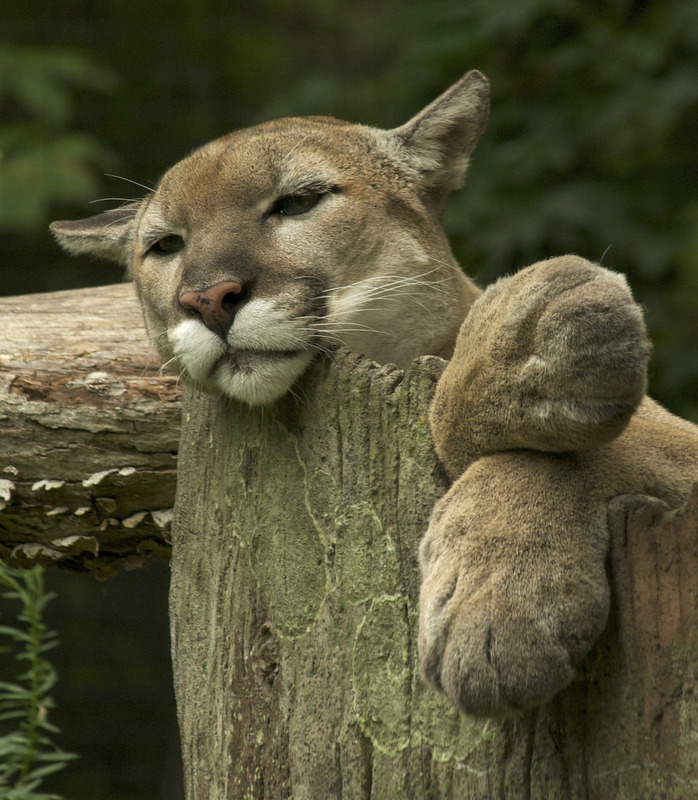 As such, I have prepared a special post about a non-profit organization that is working to protect mountain lions (Puma concolor) in the United States: the Mountain Lion Foundation (MLF). Below is a brief introduction to who they are and what they do. Mountain lions are in peril. Our nation (the US) is on the verge of destroying this apex predator upon which whole ecosystems depend. Hunting mountain lions is morally unjustified. Killing [mountain] lions to prevent conflicts is ineffective and dangerous. There is a critical need to know more about the biology, behavior, and ecology of mountain lions. Governments should base decisions upon truthful science, valid data, and the highest common good. Together, we can save America’s lion. Trophy Hunting (K. Domingo, personal communication, February 28, 2018). The Mountain Lion Foundation has been around since 1986. They came out strong on the legislative front, and enjoyed a critical victory in 1990 with the passage of Proposition 117. This piece of legislation reaffirmed the mountain lion’s protected status in California, and created a $30 million per year Habitat Conservation Fund. 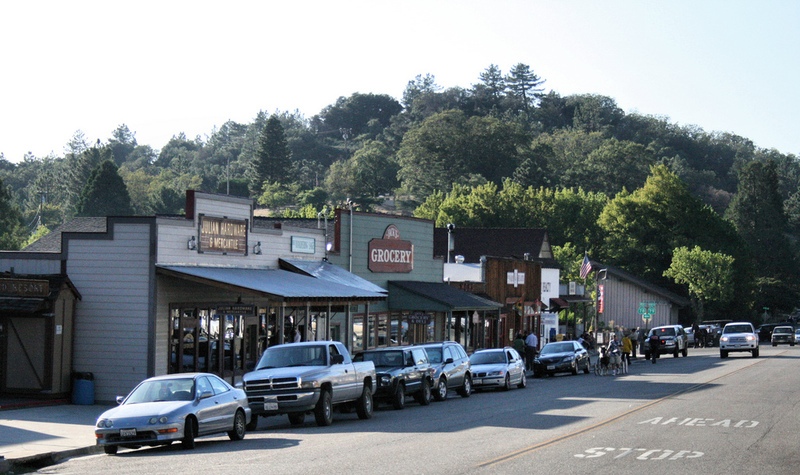 The MLF has remained strong in the legislative arena – fighting off attempts to overturn or weaken Proposition 117 and advocating for wildlife throughout the US. But they have also diversified their activities. For instance, since 2002 they have helped livestock producers build mountain lion-proof pens that protect small stock (e.g. sheep and goats) from predators. The first such pen was built in collaboration with local 4-H clubs, and for many years the MLF has worked with California residents to help them coexist with mountain lions. The MLF’s Julian Mountain Lion Project exemplifies their commitment to community collaboration. Starting in 2014, the amount of mountain lions being killed in response to depredation in the Californian town of Julian surged. MLF volunteers, staff, and local residents got together to address the problem. They built two lion-proof pens, marched in a 4th of July parade, held a lecture at Julian’s library, and began a community-based inquiry process with world-renowned snow leopard (Panthera uncia) expert Dr. Rodney Jackson. 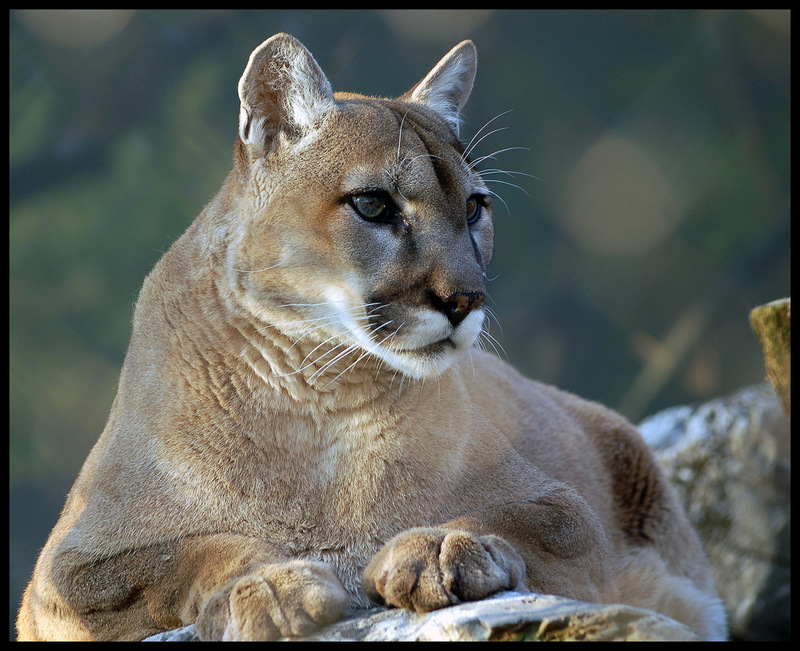 The MLF continues to work with Julian residents to protect livestock from mountain lions, and to keep the cats from being killed. These “farther-reaching impacts” include harm to kittens, who may be orphaned or killed as a result of social disruptions to the cats’ territorial systems (L. Cullens, personal communication, February 28, 2018). These social disruptions can also create more problems for people and livestock, which I have discussed in a previous post. The Mountain Lion Foundation is an excellent group that has been protecting mountain lions for 32 years. They have an impressive track record, and they have shown that they can adapt to changing conditions. Ms. Domingo stressed that the MLF is now more scientific than ever before, and they advocate both for mountain lions and local people. I strongly recommend you visit the MLF’s website to learn more about them. While there, why not make a donation? Gorgeous! I’ve yet to see one in the wild, but I still have some time left in Northern Cali. Stunning creatures that need more protecting! A very informative post; I was unaware it was World Wildlife Day..
Lovely animals, thanks for protecting them! The Mountain Lion Foundation does indeed deserve our thanks.